You’ll notice we’ve added some NEW items to our menu! We accept advanced orders for all products. Special orders (all cakes, plus bread and pastry orders in excess of $50) require 48 hours notice. Hard bones with whole wheat flour, peanut butter and bacon bits. For every bag sold, one dollar goes to the Friends of the Shelter Dogs in Athens. Some of our recipes do not include wheat or other gluten-containing ingredients; however, all our products are made in a facility with equipment that processes, and may leave traces of, wheat and gluten. Our products may also contain other allergenic ingredients like: wheat, milk, soybeans, peanuts, tree nuts, fish and shellfish. If you have a gluten or other allergy, please avoid our products or consume them at your own risk. We will soon be providing the option to purchase our panini online for pickup. 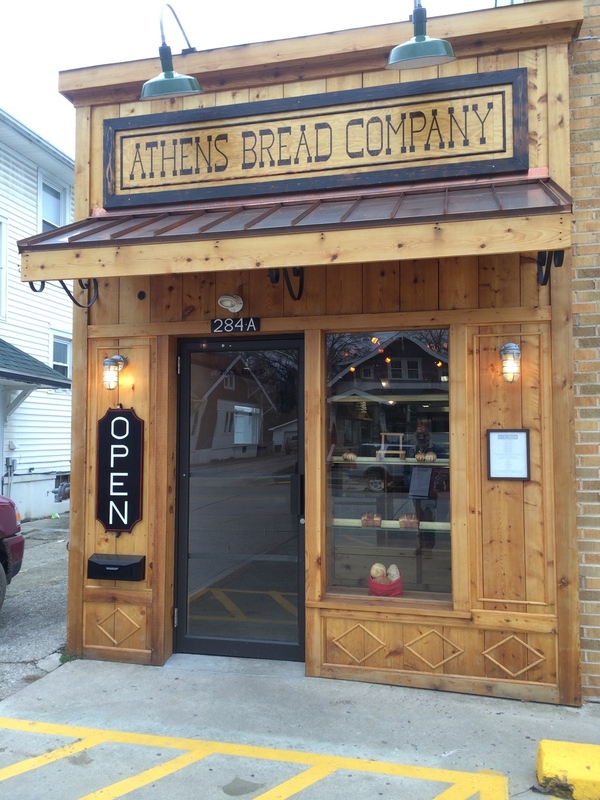 A former lawyer, a small town, and a love for good bread.